Right now, it is undeniably in vogue to identify and intimately discuss your personal “spirit animal” at length. This might be fodder for party chatter, an icebreaker to quell the awkwardness of a date, or even a deep and thoughtful conversation with your besties. In any case, society’s fascination with “spirit animals” serves as an interesting personality construct for our own self-image as well as how the world perceives our unique character. My first experience with this concept was watching the Star Trek Voyager episode in which First Officer Chakotay mentions the concept of animal guides as a part of Native American spirit quests. It’s both fascinating and important to remember that the idea of a spirit animals as personal guides actually has roots in a rich and storied culture, which you can read more about here. These are social creatures and very vocal communicators. Their language is rather complex and diversified with different clicks and whistles, and their song is quite melodious. Most importantly, it looks like they are happily smiling. I am a big fan of smiling! 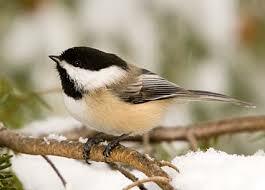 Chickadees are curious, social birds that often associate with other small birds. Their flocks are very important to them and employ many calls with specific meanings. All in all, they are very good communicators, and I believe this is one of my strengths as well. Some friends have identified Elle Woods as my fictional spirit animal, mostly because we are both perky and big fans of pink! I know many people believe Ms. Woods from Legally Blonde is ditzy and naive, but if you truly study her character, you’ll find that she is courageous, kind-hearted, determined, and loyal. Elle continually takes embarrassments and failures in stride to become better, smarter, and stronger all while rocking a pink Jackie O dress in the courtroom. Who wouldn’t aspire to strike that balance of upbeat and indefatigable? 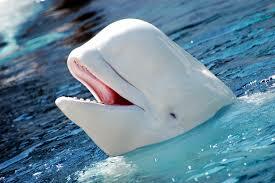 Finally, a spirit animal of my own choosing! 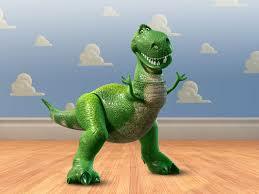 Since childhood, I have always loved the Toy Story movies and identified very strongly with the lovable Rex. He is a gentle giant that contributes positively to the team of toys and builds confidence despite his occasional worries. He is usually enthusiastic about anything and everything. Yay! Like Rex, my passion lies in helping people and staying positive in tough situations. I love this adorable T- Rex and can’t think of a “spirit dino” that makes me smile more! There you have it folks! Be it animal, person, or some other entity, how do you answer when people ask about your spirit animal? Let us know in the comments! Next Next post: Which Name Will You Claim?